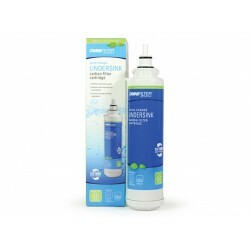 HydROtwist Compatible Replacement Omnifilter 1100R to suit Omnfilter R1100 Quick-Change Inline water Filter System. Easy to install and reduces sediment, chlorine taste & odor, lead, cysts from your ice and drinking water. The HydROtwist OmniFilter 1100-R Filter is independently.. 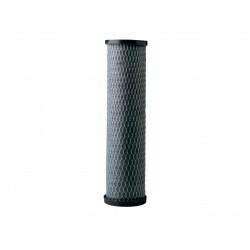 Replacement Omnifilter 1100R to fit Omnfilter R1100 Quick-Change Inline water Filter System. Easy to install and reduces sediment, chlorine taste & odor, lead, cysts from your ice and drinking water. 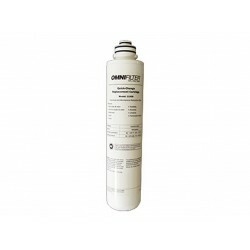 The OmniFilter 1100-R Filter is NSF/ANSI tested and certified to reduce the fol.. 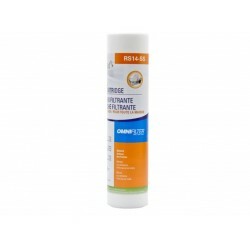 The Omnifilter 1250R filter cartridge is utilized within the Omnifilter RO4000 Reverse Osmosis System and US2000 Twin System. Healthier, great-tasting water. Easy-to-install 1/4 turn cartridge replacement. Includes: 1250R filter, Instruction sheet. Specifications: - Reduces: Chl.. 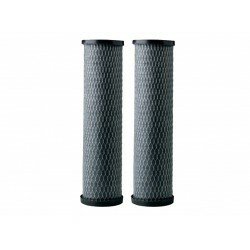 The Omnifilter 1500R filter cartridge is utilized within the Omnifilter RO4000 Reverse Osmosis System only. Healthier, great-tasting water. Easy-to-install 1/4 turn cartridge replacement. Includes: 1500R filter, Instruction sheet. Specifications: - Reduces: Sediment, Chlorine Tas.. 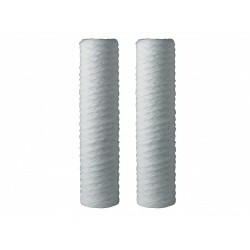 The Omnifilter 1750R filter cartridge is utilized within the Omnifilter US2000 Twin System. Healthier, great tasting water Easy to install 1/4-turn cartridge replacement. Includes: 1750R filter, Instruction sheet. Speciifications: - Micron rating - 0.5 - Filter capacity - 300 g..
OmniFilter Whole House Sediment Carbon Wrapped Pre Filter T01 The correct replacement filter cartridge for the following whole house models: - OmniFilter OB1 - OmniFilter OB5 - Omni Regular - OmniFilter R12 - OmniFilter R14 - OmniFilter U24 - OmniFilter U25 ..
Twin Pack OmniFilter Whole House Sediment Carbon Wrapped Pre Filter T01, T01-DS The correct replacement filter cartridge for the following whole house models: - OmniFilter OB1 - OmniFilter OB5 - Omni Regular - OmniFilter R12 - OmniFilter R14 - OmniFilter U24 - Omn.. The OmniFilter RS3 is a 10" String Wound Sediment Filter which reduces sediment, dirt, sand, silt, rust, limescale, algae, and other particulates in water down to the 20 micron level. 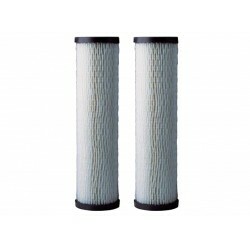 The OmniFilter RS3 can be used in various under sink filter systems, whole house filter systems, counter ..
Twin Pack Omnifilter RS3 (RS3-DS) The OmniFilter RS3 is a 10" String Wound Sediment Filter which reduces sediment, dirt, sand, silt, rust, limescale, algae, and other particulates in water down to the 20 micron level. The OmniFilter RS3 can be used in various under sink filter s.. 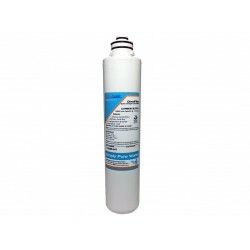 The OmniFilter RS14-SS replacement filter is suitable for following water filter systems: - OmniFilter Whole House systems - OT32 Series A UnderSink filter system Any whole house filter system that calls for a standard size 10" 10 micron Poly Spun filter The OmniFilter R.. The OmniFilter RS1-DS is the correct replacement sediment filter for the following filtration systems: OmniFilter whole house models (except the BF7) The OmniFilter RS1-DS 2 Pack Pleated Paper Water Filters reduces dirt, sand, sediment, and rust particles in your water. .. The OmniFilter RS7-SS Whole House String Wound Water Filter removes rust, dirt and sediment from your water. The OmniFIlter RS7-SS fits the following: OB1, OB5, R12, R14, U24, U25, U26, and Omni Regular whole house filter systems. The OmniFilter RS7-SS Specifications are as ..